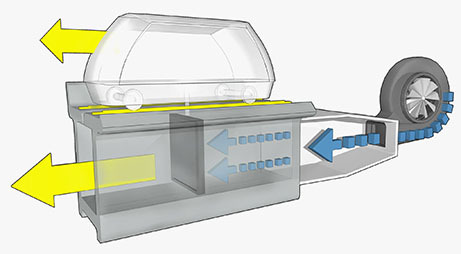 The technology is based on pneumatic propulsion – the air is pressurized by high energy efficiency stationary fans, through a duct located within the elevated guideway. The air pushes or pulls the propulsion plate attached to the vehicle, which moves along a truck (platform on steel wheels) on rails. 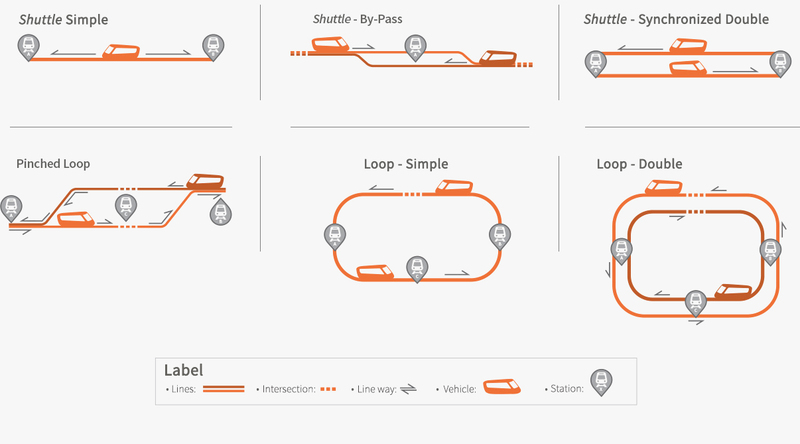 The Aeromovel System fits into a broad category, called the Automated Guideway System, also known as Automated Transit System (ATS), which refers to the fully automated passenger transport systems on an exclusive track. As such, the Aeromovel meets everything from mass urban transport demands - in typical configurations of dual elevated rails, with maneuvers at terminals with detours -, to smaller systems. Some types of applications are: loop configuration, shuttle, double shuttle, distances, and double rails, among others. There is an important subclass of the two AGT/ATS systems, known as the Automated People Mover (APM). People movers≤/ are widely known for their most notorious applications in airports. Adjustable operating parameters by selecting pre-defined speed and headway profiles. Generators guarantee operation even during power failures. Ease of access to stations. The same characteristics that allow reaching very low capital costs also provide equally low operating and maintenance costs over the years, considering a reduced number of professionals needed, and also for using non-proprietary spare parts (off-the-shelf). This is only possible due to the successful combination of autonomous, light vehicles with no embedded engines, with the overall simplicity of the system and its main components.